Welcome to Day 7 of Trainwreck’d Society’s Month of Horror Showcase. Every day during the month of October, we will have a horror related interview and/or film review for your fright-filled reading pleasure! The set up will be the same as usual, but the topics will be far more terrifying. Enjoy! Today’s interview subject is someone that I would refer to as a “SME” in the world of horror filmmaking. For those of you who don’t recognize such a term, it is actually an acronym for “Subject Matter Expert”. And I can think of no other way to define Kevin J. Lindenmuth! The man has created some of the finest works in the world of indie horror, written several books on how he creates such magic, and he has been writing about horror on the internet long before we knew that the internet was going to take over our lives. He is a guy who has done some amazing work, and he has some wonderful stories to tell and advice to give. And we were so fortunate that he was willing to share a bit of that with us here today! So ladies and gentlemen, please enjoy some words from the legendary filmmaker, author, & so much more, Mr. Kevin J. Lindenmuth! What initially drew you into the world of filmmaking? When did the passion begin? As far back as I can remember, and i have memories as far back as 2-3 years old, I wanted to be involved with making movies. I think this was because I watched a lot of horror and science fiction movies as a kid, from the daytime broadcasts of the original Dark Shadows to Saturday afternoon horror-hosted movies to going to the theater. In retrospect, that’s why my first few movies were vampire-related films (Vampires & Other Stereotypes, Twisted Tales, Addicted to Murder). I always wanted to be involved with creating those stories. In fact, when I was seven years old I remember writing an adaptation of Escape From the Planet of the Apes! Comics were also a big influence, from Tomb of Dracula to Spiderman. In fact, I created a superhero for DC’S Dial H for Hero comic when I was in high school, so that was cool seeing that published. I was always writing and making short films through high school, and have a few of them listed in film magazines of the time, like Cinemagic. I then majored in Film/Video Studies at The University of Michigan in Ann Arbor and made quite a few weird films broadcast on Public Access TV. Writing and filmmaking were always a focus. With 30 years experience under your belt, and the massive amount of the changes in the film business these days, What would you say has been the most drastic change in the filmmaking world since the time you started working in it? What have been some positive changes? Negative? Back when I was making the films, in the early to late 90’s, there weren’t a lot of people making these low-budget films that were shot on video. At the time I was working for a production company in Midtown Manhattan and a perk of the job was having access to their equipment. These weren’t home camcorders—they were state-of-the art Sony television cameras that probably cost 60,000 each. So the first few movies were shot this way and then put through a “filmlook” process that took those video 30 frames and knocked it down to 24 frames so it looked like they were shot on film. It wasn’t until the third movie, Addicted to Murder, that I got into the chain video stores, primarily Blockbuster. I had sent them a VHS screener of the film before I even had the box made and they got back to me six months later saying they wanted to have it in their stores. That was great. And soon after that I was able to get a few other filmmakers into Blockbuster as well, such as Mark Polonia’s Feeders movies and Nathan Thompson’s Contact Blow. And by this time there was a whole group of us filmmakers in NY that helped on each other’s films, such as Scooter McCrae, Jeffrey Arsenault, Ron Bonk—and when we had screenings of indie films in my Upper West Side apartment Mike Raso from E.I, Don May (now Synapes) and Mike Gingold would usually be there. So that was cool. Back then there seemed more comradery of like minded filmmakers. And through this and various indie film magazines at the time I met a lot of filmmakers across the country and got them to work on different anthologies (Alien Agenda and Alien Conspiracy films). You see, back then it was possible to do something you loved and make some income at it. Granted, I did have a “day job” but it enabled me to make films and then with the sales of that film make other films. It was great. But at the end of the 20th Century the markets dried up. More and more people were making movies because of easy access to quality equipment and distributors no longer licensed films. They wanted them for free and promised “residuals”. There are never any residuals. That’s one of the main reasons I haven’t made a feature in 15 years —although I enjoy it, it’s not a hobby. And it’s an unbelievable amount of work. So I switched to doing such things as PBS documentaries and got a bunch of those on PBS. On one hand it’s much easier to make a movie as in independent—but its impossible to make a living at it. Just check out all the thousands of movies included on Amazon Prime. 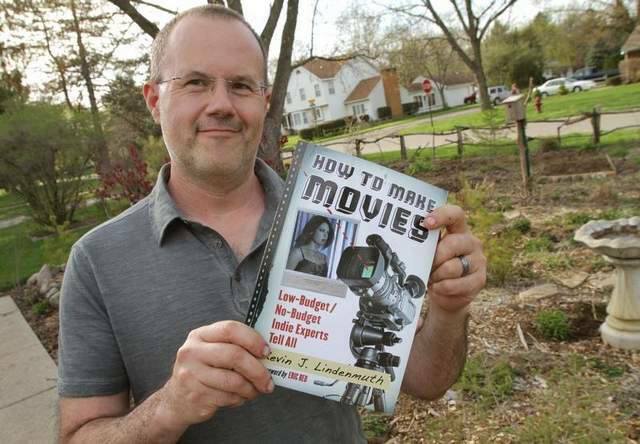 I understand you have penned a few books that are extremely informative for the aspiring filmmakers out in the world. Can you tell us a bit about some of these works, and what inspired you to help the up and comers out there? The entire reason for the books is that people would always ask me film specific questions and it made sense to tell them “here, it’s all in the book,” rather than spend time repeating over and over again (I am not kidding). Also, what inspired the books was knowing all these other filmmakers throughout the years. The first book, How to Make Your Own Movies (1998) included all these filmmakers that I either knew personally or through the various film magazines and by seeing their movies. Again, all people whose work I liked. And when you read the books you’ll see that almost everyone who succeeded in making a film did it in very similar ways to get it done, which is cool. The last one in the series was How to Make Movies: Low Budget/No-Budget Indie Experts Tell All (2013) interviews an entirely different group of filmmakers, some well established like Mark Pirro (A Polish Vampire in Burbank), Glenn Andreiev, Donald Farmer and Keith Crocker and newer ones, like Steve Hudgins and Chris LaMartina (Call Girl of Cthulhu). There’s also The Documentary Moviemaking Course, which discusses in depth the way to go about making your first documentary. 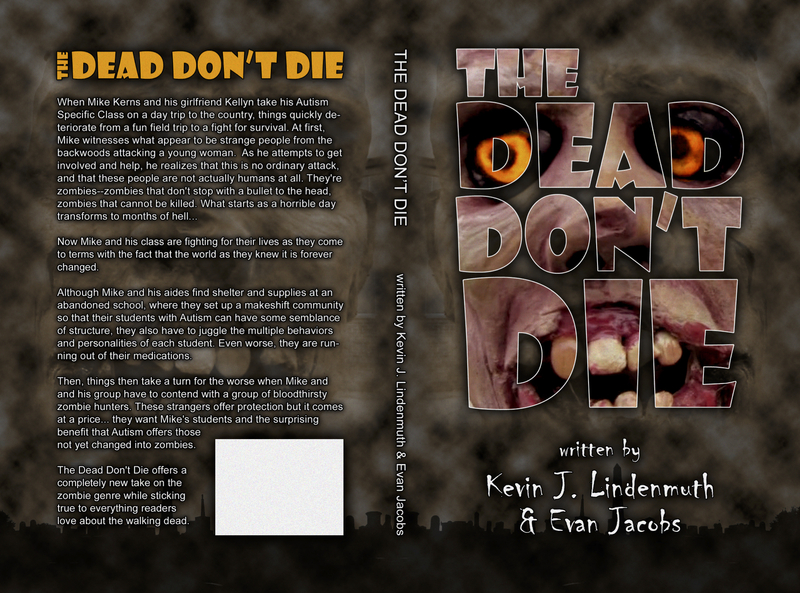 Most recently, , I co-wrote a zombie novella with indie filmmaker Evan Jacobs called The Dead Don’t Die. Yeah, it’s a zombie novel but it has a great angle. And that may possibly become a film. Have you had a personal experience where someone has told you that they were inspired by your books, and used them to get themselves started in the business? Any stories of success? To this day I still get several emails a week from filmmakers asking questions and wanting advice on making movies and I always make sure to get back to them. If it’s a lot of info they want I always tell them to order one of the books since that’s the whole reason they were put together. And I’ve gotten messages from filmmakers who told me that those movies from the 90’s really inspired them to make their own movies. What is it about the world of horror specifically about the world of horror that draws you into making film in this medium? What do you personally believe sets this world apart from other genres of film? I loved watching vampire movies—and any monster movie—when I was a kid. This is the late 60’s/early 70’s. My grandmother was a huge influence—she loved those movies, particularly the old Universal Bela Lugosi Dracula movies, and I remember watching a lot of films with her. I also loved all the Hammer movies with Peter Cushing and Christopher Lee. In fact, when the Friday the 13th movies—and its emulators—came out I often went to see them with her since I wasn’t old enough to get into the show myself. I still watch several horror films a week and have been a reviewer (as “The Gravedigger”) for buried.com since 1998. I think the “horror genre” allows you do do a lot of different things. You can have a dead serious one, like Saw or a comedy that’s scary like Return of the Living Dead. I know with my films there’s a lot of similarity in themes—whether someone gets transformed into a vampire or an alien it makes them think about their world a bit differently. But foremost I think unlike most other genres “Anything Goes” with horror movies. You can do whatever you want. I think it’s a tie between Romero’s Dawn of the Dead (1978) and The Sentinel (1977). Romero’s Dawn is the perfect zombie movie (no matter which version you’ve seen) and The Sentinel has this complete feeling of dread about it and that whole sequence involving the doorway to Hell still gives me the creeps when I watch it. Both movies still hold up over time. What are your plans for this upcoming Halloween? Any traditions you try to uphold each year? Believe it or not I do absolutely nothing on Halloween. When I lived in NYC and was working for a production company I had to work every Halloween, so I missed that (for over a decade) and simply got out of the habit. However, if you see my office you’ll understand that “Halloween” is every day for me. I have this giant spider in the corner of the room, which fascinates my granddaughter.. LOL. For the past decade I’ve primarily been making videos for company websites from furniture to pets to surgical procedures (talk about blood!). 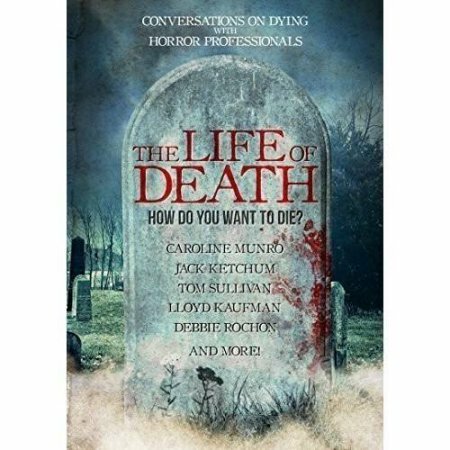 I continue to do interviews and reviews for buried.com and I’m working on a few more fiction books. A while back I co-wrote a script with filmmaker Tim Ritter that combines our two franchises—Addicted to Murder and Truth or Dare, called Addicted to Truth or Dare. I always loved how Full Moon Films would have characters cross over from their movies and wanted to give it a shot. Tim and I talked about doing a kickstarter campaign to fund it but he was already doing that with a film and sounded as if he didn’t have much luck—and at the time I simply didn’t have the time or inclination to go that route. But who knows? That may eventually turn into a film. Or maybe a book…. My wife, Kate, is the funniest (and funnest) person I know. So as corny as this sounds I’m always smiling.